In order to avoid a frightening and potentially dangerous situation like brake failure, it’s important to understand how brakes work and know the warning signs indicating that your brakes need attention. When it comes to car brake repair, you should always trust a professional mechanic or auto body shop to service your brakes and make any necessary adjustments. But, it’s also a smart idea to know what to look and listen for in order to avoid a potentially life-threatening driving situation in which you suddenly find yourself without brakes. Keep the following in mind and make sure you are proactive about scheduling routine maintenance appointments in order to ensure you car runs smoothly and safely. The brakes in your vehicle are made up of a interconnected system of parts and components, all of which must work together in order for your vehicle’s brakes to function properly. In order to engage the braking action in your car, you must press down on the brake pedal in order to send brake fluid from the master cylinder to the calipers. This action operates the brake pads, which will put pressure on the rotors, building the friction necessary to bring your car to a stop. You can see from this brief explanation how crucial it is that all the working parts are intact in order for this process to successfully unfold. Let’s imagine that, for whatever reason, your brakes fail to engage as you’re making your way to your destination. First things first, try not panic. Of course, that is easier said than done. But there are a few things you can try in order to correct the problem, but they require a level head and clear thinking. If, after you depress the brake pedal, your car fails to slow try pumping the brakes. When you do this, the piston in that master cylinder pressurizes the brake fluid, sending it through the brake lines, and into the pistons located on each wheel. The pressure from those individual pistons engage the brake disc or brake drum, which decelerates the vehicle, bringing it to an eventual or sudden stop, depending on the amount of pressure applied to the brake pedal. By pumping the brakes you will possibly be able to deliver adequate fluid into the entire system and reengage the braking process. If pumping the brakes doesn’t work, use your emergency brake. That’s what it’s there for, and depending on where you’re driving, this might be your only option. Separate of that, or in the truly unfortunate event that your emergency brake fails to engage, use your transmission. In this case, you want to downshift gear by gear, essentially using the engine for braking action. Plenty of people who drive cars equipped with manual transmission do this simply as part of how they operate the vehicle. Simply drop to a lower gear, allow the car to decelerate and then drop to the next lower gear. As you do this, look around for a potential surface to slow your speed, like a grassy side of the road. Better yet, see if you can drive uphill, which will naturally slow your speed as well. Finding an flexible structure, something that will yield to the force of the car, versus a pole or cement guardrail, is another strategic move in case you simply cannot stop fast enough before encountering something in your way. You can “scrub” off some speed by driving alongside a barrier, like a fence or even a row of natural hedges. Granted, this is planning for the absolute worst-case scenario. You can avoid experiencing any issues with or failure from your brakes by paying attention to some symptoms of malfunction. 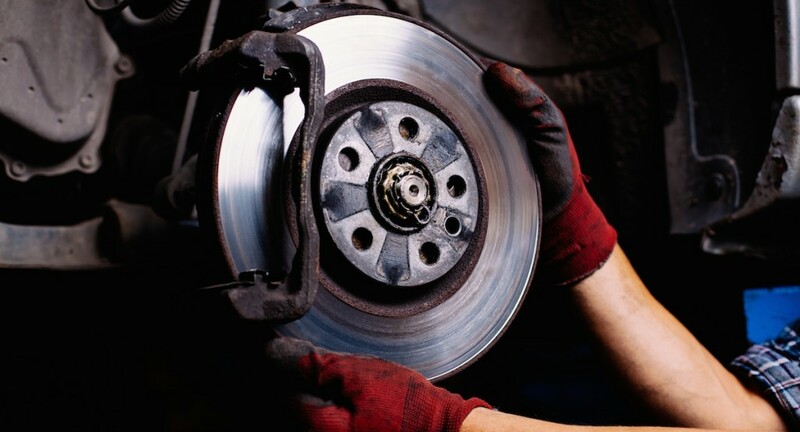 A quick peek at your brakes will help you see if the brake pads have worn down too far. What you want to do is peer through the spaces between the spokes on your wheels and assess the amount of brake pad remaining. It should measure at least one-quarter of an inch. If it doesn’t, schedule an appointment with your mechanic and have your brakes inspected. If you don’t feel confident in your ability to eyeball the status of your brake pads successfully, then try listening for signs of trouble. Do you hear whining or screeching when you depress the brake pedal? If so, you are likely hearing a brake indicator, a little metallic shim, which signals that your brakes need repair, and possibly even replacement. Other signs of trouble might result from a delayed response in the braking action, also referred to as “fading.” Another symptom might feel as though the vehicle pulls to one side when braking. This is usually indicative of uneven wear on the brake linings, or a sign that some foreign matter has somehow lodged in the brake fluid. Any audible metallic alerts signal that your brake pads have worn down to nothing and need to be replaced. Issues with the rotors are evidenced by shaking or vibrating from the vehicle as it decelerates. For a more thorough explanation of these potential warning signs, click here. In order to ensure the safe operation of your vehicle and the health of your brakes, schedule a professional brake inspection service on an annual basis. Not only will this give you piece of mind on the road, you will also avoid incurring costly repairs by proactively monitoring the condition of your brakes and addressing concerns as they arise. However, if you find that you are already noticing any of the above mentioned signs of trouble, don’t wait. Schedule a brake inspection immediately before the problem worsens. Always consult your vehicle owner’s manual for the recommended service schedule and be mindful of your car’s performance whenever you’re behind the wheel. When it comes to the safety of you and your passengers, being proactive about your car’s routine maintenance and responding immediately to issues as they arise will take you far.